3 Hours - The Ketchikan Highlights Tour begins at the cruise ship dock. As we go through the city heading north to Potlatch Park, your guide will point out various places of interest, including the canneries and wildlife while you enjoy sixteen miles of breathtaking waterfront. Questions are always welcome! This seaside park of totem poles holds a special charm. As a Sourdough tour guide narrates the legends of the Tlingit and Haida totem poles, you'll walk along a path in a lush rain forest. The many totem poles dot your paths as you enjoy the quiet serenity of the park. There is also a Native clan house. We'll take you inside and tell you how the people used to live years ago. Another attraction of the park is the Russian museum featuring a magnificent, historic collection of guns dating from 1535-1868. Included in the collection is the third-made Gatling gun made by Mr. Richard J. Gatling himself. The Russian museum also has displays of mammoth tusks, furs and ivory. There is a delightful curio shop adjacent to the museum. On our way to Saxman, we'll go through Ketchikan and see eagles, canneries, the ladder salmon use to swim up Ketchikan creek to spawn, the city park, and other interesting sites. Saxman was founded in 1894 and was the site of a Presbyterian mission school. In the mid-1930's the people of Saxman, with the help of the federal Civilian Conservation Corps, arranged their totem poles into a formal park. It is the fifth most popular attraction in Alaska. There are several famous totem poles in the Saxman park including the historic Abraham Lincoln totem pole and the William Seward pole which memorialized his 1868 visit to the area. Seward was responsible for the United States' purchase of Alaska from Russia in 1867. 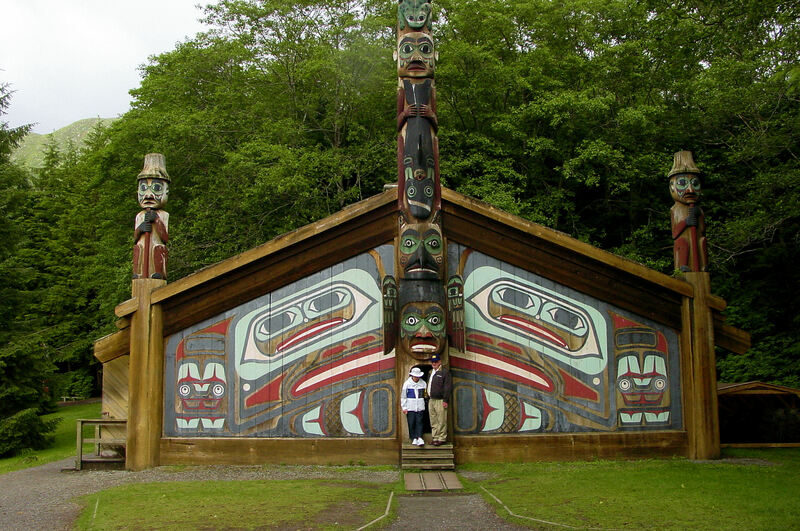 There are 34 totem poles at Saxman Native village and each one has its own unique story and history. We will also see a clan house and a carving centered where totems are made. The carvers are usually working as we tour. The master carver in Saxman is internationally recognized and his work is in demand around the world. 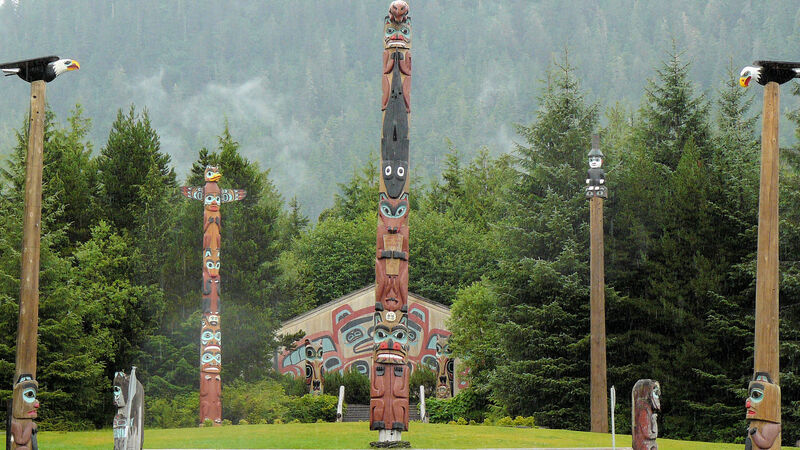 You can see many of his totem poles displayed throughout Ketchikan. 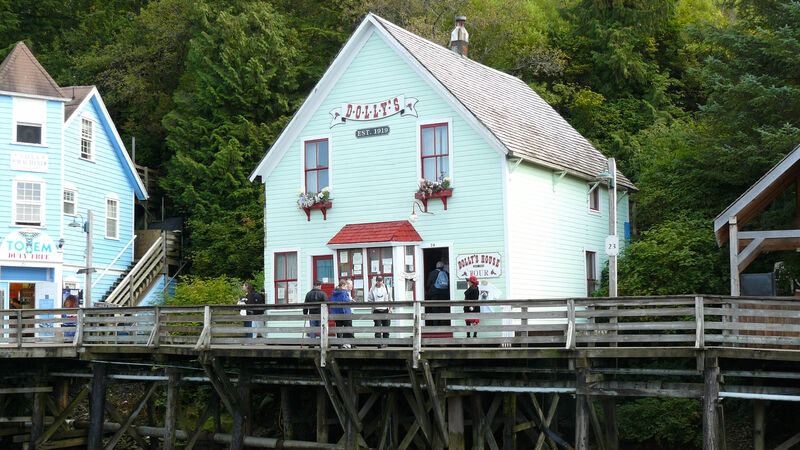 When we return to Ketchikan we will stop by the historic Red Light District on Creek Street. You can end your tour at this point or continue with us to the dock which is just two blocks away.